The Nintendo Direct last night wasn’t entirely focused on their new Switch console, but a good chunk of the long 45 minute runtime was spent addressing many titles that had already been announced for the console. One of those was Project Octopath Traveller – a Square Enix exclusive under development from the same team behind Bravely Default. The game was originally revealed during the less stellar January event, but hasn’t really seen much word since. Last night though, it left a big impact. A full four-minute trailer showed off the delightfully gorgeous JRPG in many ways, introducing you to its sword and turn-based combat. It’s striking heavy chords associated to the likes of Final Fantasy, with the same elegant system design that Bravely Default has become known for. Its aesthetic might not be to everyone’s liking, but it certainly gives the game an immediate sense of character, place and tone. Which is all you’d really want from good art direction. 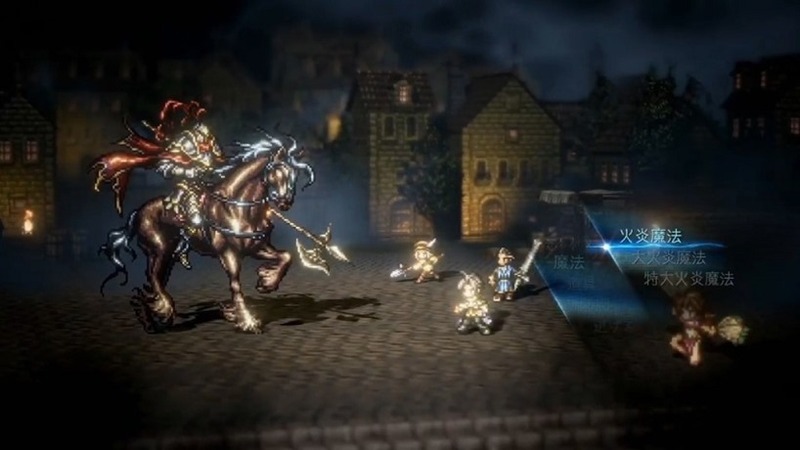 Octopath Traveller doesn’t have a release date yet, or even a real name (this is still a codename, but if it sticks I wouldn’t be shocked if Square Enix keeps it), but it’s certainly looking like a big headliner heading into the Switch’s second year on shelves. Square Enix wants some feedback now though, so they’ve released a demo for the game on the Switch eShop right now for you to download. It’s limited, but it could give you an early look into how this JRPG feels around the edges. There’s loads of news that came out of last night’s Direct, including word of DOOM and Wolfenstein II ports, as well as new Mario Odyssey footage.